With some research solutions, finding certain information requires considerable training. Users have to know which query form to use, how the information is indexed and what special parameters to include. It can make searching a challenge, especially for new users. Query Builder in Reaxys makes every scientist a power user that can access all the information in the database with ease. Query Builder enables construction of complex queries using a streamlined drag-and-drop interface that includes all the essential search input: narrowly defined properties, including spectra, CAS registry numbers, medicinal chemistry terminology, basic indexes and more! Query Builder also supports structure drawing and molecular formula building. Every query category in Query Builder includes dedicated forms with predefined parameter sets that are easy to edit and fill in. 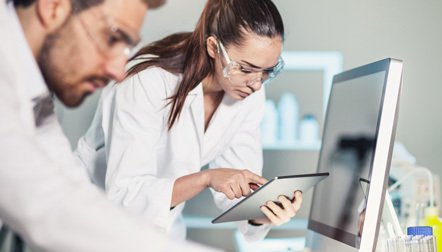 Even complex medicinal chemistry searches can be successfully performed by first-time users thanks to the intuitive step-by-step construction method. Whether you’re a highly experienced researcher or it’s your first time using a research solution, you can rely on Query Builder to guide you through the search construction process. It’s about time. Saving it and maximizing it so you can move with confidence and ease from a basic idea to a target compound. Watch this video tutorial to see how to create your own targeted queries without being an expert. Each record retrieved offers multiple touch points to discover more within and outside of Reaxys. As every start-up company knows, venture capital funding isn't easy to get. It takes an immense amount of work, a truly valuable idea and probably more than a little luck. That's why Peter Volta and his team wanted to make the most of their hard-won funding. To do that, every effort needed to be optimized and every expense scrutinized.